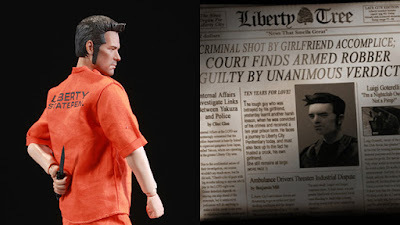 Rockstar Games has announced that they will be releasing a limited-edition 12-inch action figure of lead character Claude, created by renowned collectible manufacturer Sideshow. 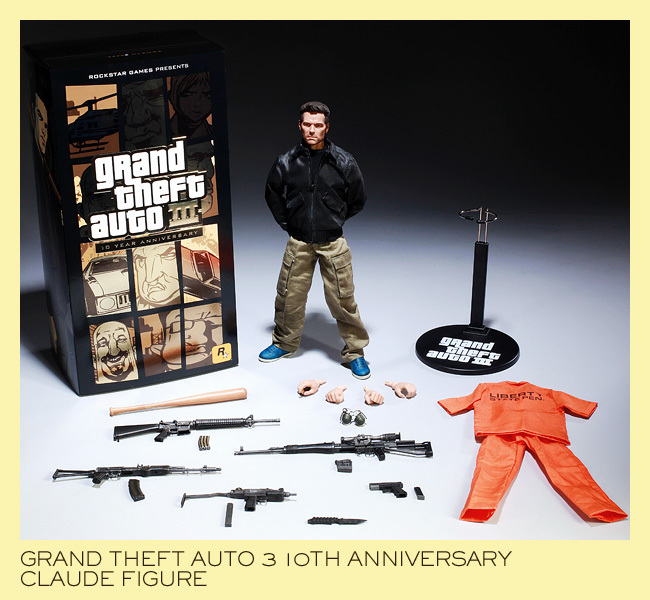 It will be available for pre-order in limited quantities at the Rockstar Warehouse. 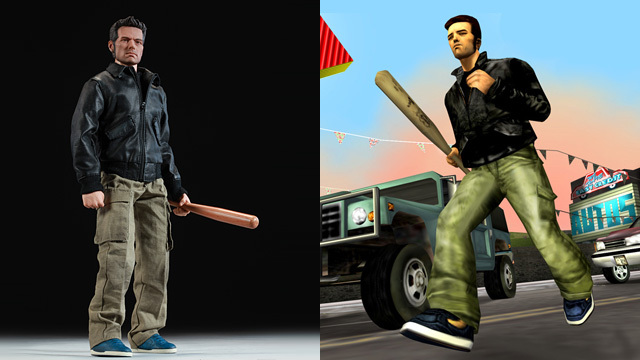 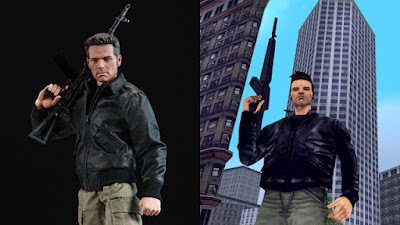 This fully articulated 1:6 scale action figure of Claude comes dressed in his original attire of cargo pants and a bomber jacket, but can also sport his iconic Liberty City Prison-issued jumpsuit (supplied) and comes equipped with an arsenal of classic weapons from Grand Theft Auto III including a bat, knife, grenades, pistol, sniper rifle, and assault rifle. Grand Theft Auto III 10 Year Anniversary Limited Edition (Only 1,500 pieces) Claude Action Figure Features: 12-inch body with nearly 30 points of articulation, Fabric Liberty City State prison outfit, Bomber jacket with real zippers, Canvas cargo pants, sneakers, Two assault rifles, Sniper rifle, Grenades, Knife, Sub machine gun, Baseball bat, Pistol, Extra hands including One pair of fists, One right trigger hand and One left C grip hand. Notice how everyone's getting into the 1/6 market and competing for our moolah. 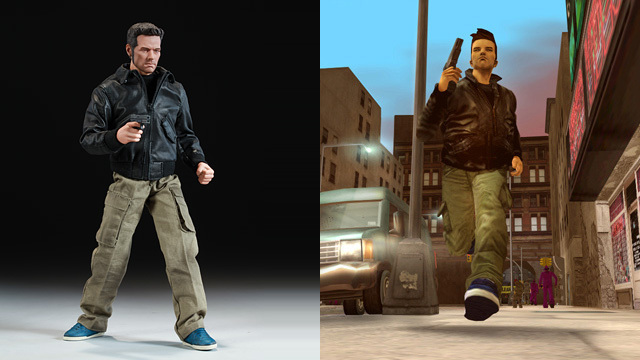 the flaming boots ROCK hard! Again, the clothes are great- the small touches of orange in the vest (buttons/side vents) really unite the whole thing. the fabric looks great! Not Hot Toys Indiana Jones but Toys McCoy Indy!